Learning how to prevent running injuries is the best way to ensure a long running career. Every year up to 60 percent of runners become injured. Some running injuries require months or years of rehabilitation. Some runners never fully recover from an injury physically and emotionally. Sometimes injuries can leave emotional scars in which runners becomes fearful of injuries and can no longer relax and enjoy running. 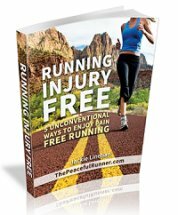 If you have a fear of getting injured, this article may help: How to Overcome Fear of Getting Injured While Running. There are a number of common running injuries and they can create fear and tension in the body and prevent runners from giving their best. Their entire health and well-being can be affected which defeats the whole purpose of running. Learn how to prevent running injuries. It is so much easier than trying to recover from them. There are mental, emotional and physical aspects to running injury prevention. All three must be in balance for you to remain injury free. 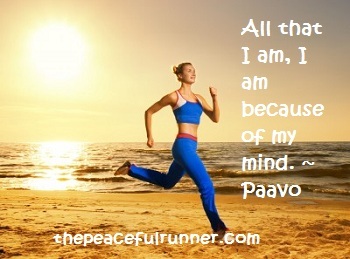 To run injury free, your mind must be clear and your full attention on how you are running. If you are tired and distracted, it is not the time to give your body a workout. Lack of attention often causes injuries that could easily be avoided. Develop mental clarity and a positive attitude towards yourself and others. Be gentle and sensitive to your body's needs. Be confident in your own abilities and develop a healthy attitude towards competition. Develop the ability of mentally staying in the present moment. Meditation can help you with this. 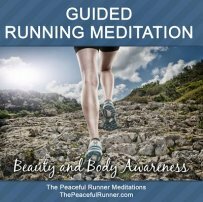 Try Running and Meditation and Mindful Running. Are your emotions creating stress in your body? If you are frustrated, angry or agitated, you will be tense and distracted when running and become a prime candidate for a running injury. Take a few minutes to bring your breathing back to normal before you begin running. Getting your emotions under control is an important aspect of preventing running injuries. To prevent running injuries, you need to develop your physical strength through proper preparation and training. Improper training can lead to over-training and injuries. Patience and a gradual increase in stamina will keep you injury free. Your training doesn't have to hurt to develop stamina. Be patient and allow your body to develop and accommodate the extra demands of your training. Follow a professionally designed training program or find an experienced mentor. Join a local running group. Some of them have training clinics lead by a running coach. It is a great way to meet experienced runners who are more than willing to give you helpful advice. When all three aspects are in perfect alignment, you will be performing your best with little risk of injury. It is in this state that you are most likely to get in "the zone" or experience "runner's high." You are running effortlessly and the miles pass by quickly. It is a state that runners love and why runners love running. It is the joy of running and you are mostly likely to experience it when your mental, emotional and physical aspects are all in balance. Your body is strong, relaxed and energized. Your mind is clear and you are focused on the present moment. Your mind and body are in perfect harmony. It is your best defense against injuries. There is a strong connection between the mind and body and you can use it to prevent running injuries. 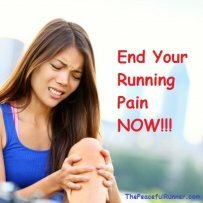 Check out: How to Prevent Running Injuries with the Mind and Body Connection. Check out these 9 Tips for Running Injury Prevention. If you want to teach your body how to prevent injuries and illness and overcome injuries faster, check out the 10 Most Powerful Life Changing Affirmations for Runners. A foam roller can be very helpful in preventing running injuries. Learn how to give yourself a myofascial release or self-massage when you learn How to Use a Foam Roller. Many people say that running is bad for your joints. This article provides much evidence to the contrary and indicates that there is no reason why we cannot continue to run into old age if we are careful: Go Ahead, Run Into Old Age! If you are suffering from a running injury, the Tapping Solution may help you recover quickly and easily.